Watergate, Irangate, Pizzagate. Political scandals and conspiracies abound with disturbing frequency of late and they often become legendary beyond the history books. Their intrusion into art, music and theater drags these plots through the filter of creative criticism and thrusts them back again into mainstream pop-culture in the form of t-shirts and viral memes. In the end, the result can serve to accentuate or obfuscate the underlying truths. The outcomes can help us learn and move past scandal or they can be a painful reminder of our failure to deal with them in the first place. In the exhibition “Everything is Connected: Art and Conspiracy,” The Met Breuer delivers a wide-ranging review of scandal inspired artworks from 1969-2016, an intriguing “archaeology of our troubled times.” Thirty artists present their own unique fact finding missions through photography, paintings, drawings and videos. Whether through Jenny Holzer’s infamous symbolic narrative, Hans Haacke’s weaponization of alternative facts or the truth telling of the Black Panthers Minister of Culture, Emory Douglas, these artists show their disdain for the public corporatist propaganda machine and demonstrate their ability to battle corruption, bureaucracy, and the media with a touch of their own medicine. Particularly compelling are the works of Trevor Paglen, whose mid-career survey last year at the National Portrait Gallery was an incredible show of force, shining a bright light on government secrecy within the hallowed halls of the very public institution dedicated to revering the Presidents and most powerful of lawmakers. A lasting legacy of this exhibition, and perhaps its most urgent call to action, is that truth is not always self-evident. To move beyond scandal and conspiracy, we must look squarely at the competing visions of the past and future and attempt to learn from them in the present. If we do not, our museums, galleries and pop-culture will be filled with red M.A.G.A hats, yellow shocks of hair and “fake news” conspiracies for years to come – a scandalous prospect to say the least. This entry was posted in Exhibitions, Society and tagged Conspiracy, Emory Douglas, Hans Haacke, Jenny Holzer, The Met, Trevor Paglen. Two years ago, one of Project Art Lounge’s followers commented affectionately on the number of women artists who have been involved in this organization’s activities and events. This video gives testimony to why empowering women is not only important to the world of arts and culture, but to our society as a whole. We have every reason to celebrate women after the recent mid-term elections in the US where some 100 women (nearly a third of the 323 women ever to serve the US house and senate) were elected. That’s a good step toward a more positive and forward looking future for America. After all, women brought us all into this world. Why wouldn’t we want them leading the way? This entry was posted in Media, Society, Women and tagged Powerful Women, WOW. Since Project Art Lounge began in 2013, a majority of the artists we support have been women. Michele Schuff, Silvia Sinha, Kamila Najbrtová and Pola Dwurnik are among the artists featured in exhibitions and on www.projectartlounge.com. The fact that these artists are women really didn’t matter in their choosing as much as the fact that they make great art. Since the 1970’s there has been a lot written about how the “western male viewpoint” in art history has largely ignored the careers of Great Women Artists. In the 1980’s, the Guerilla Girls broadened the discussion of gender bias to highlight how sexism and other forms of discrimination impact art, film and pop culture. While female artists like Marina Abramovic, Diane Arbus, Tracey Emin and Nan Goldin have achieved considerable fame, only a handful of living women artists including Yayoi Kusama and Cindy Sherman are recognized in the top-ranks of the art world according to Artnet’s Top-100 Living Artists. Despite considerable progress, the subject of sexism and sexual exploitation portrayed by female artists through their work reflect an ongoing reality that requires continued attention. In a political year dominated by discussions about women and power, it’s worth reflecting on the contribution women artists have made to this important debate. Unlike their male counterparts who often brand themselves as pinnacles of individual strength, many of the strongest voices among female artists have emphasized strength through collaboration and collective action. At the forefront of the movement was the Fight Censorship Group created by artist Anita Steckel, which was as much about freedom of expression as it was about putting forth a feminist agenda. Like the Fight Censorship Group and the Guerrilla Girls, new groups are keeping the conversation going. At a time where public discourse is increasingly dominated by social media, a refreshing example of real world collaboration is The Fainting Club, an “old boys network for women” founded by L.A. based artist Zoe Crosher. The Fainting Club brings together women artists, writers, filmmakers, musicians and chefs to celebrate their contribution to creative diversity. One recent event references the seminal 1979 artwork “The Dinner Party” by artist Judy Chicago with partygoers participating in a wikipedia edit-a-thon to add 39 new names to our collective historical record. At the end of the day, by celebrating women – whether consciously or not – Project Art Lounge is happy to support the vision and stories these artists have to share. Their legacy, like the contribution of all women in art, politics and other realms of public life is worthy of our support. 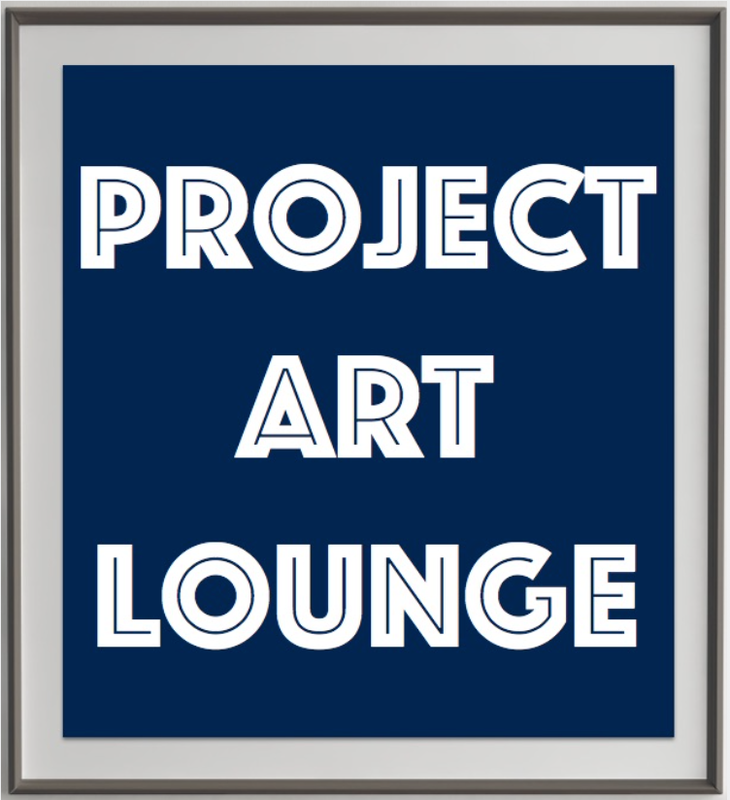 In the months ahead, Project Art Lounge, which recently relocated to the New York area, will be creating new ways to connect artists, collectors and supporting institutions. Stay tuned and join the conversation. This entry was posted in Artists, Society and tagged Collaboration, Collective Action, Kamila Najbrtová, Michele Schuff, Pola Dwurnik, Powerful Women, Silvia Sinha, The Fainting Club, Zoe Crosher.